Brasbauer Equipamentos de Perfuração Ltda was established in May 2009, through a joint venture between Brasfond Fundações Especiais S/A and the German Bauer Maschinen GmbH. One of the premises for the development of the company was the establishment of the factory in Brazil - Guarulhos / SP - in order to meet the local content policy for sustainability of production and economic activity. 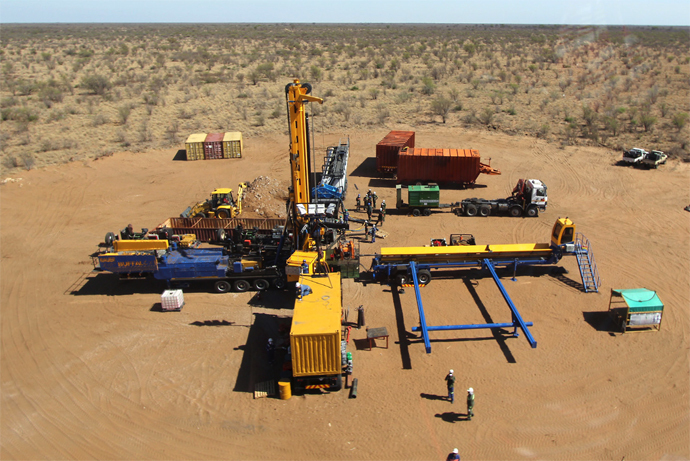 Buffalo Drilling Rig performing in Botswana. Brasbauer offers innovative and customized solutions for its clients in the oil & gas industry. The drilling rigs have a maximum drilling depth between 8,200 to 23,000 ft, and a maximum hook load between 110 to 440 tons. 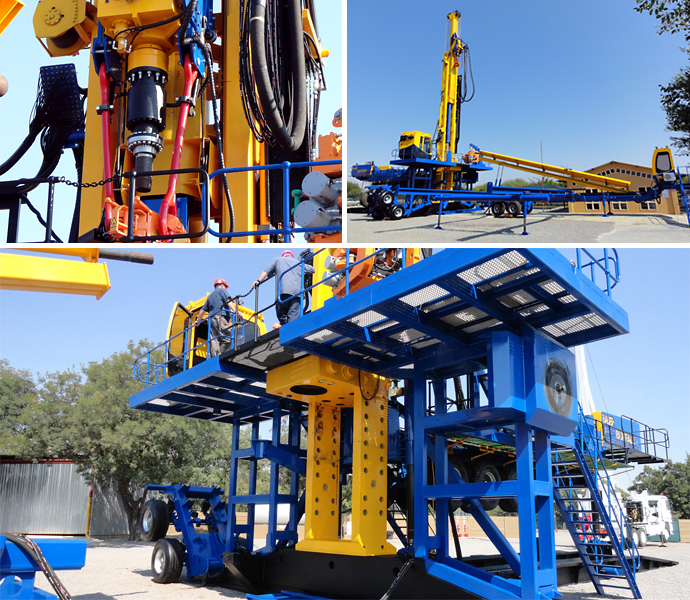 The PR 110 T1 rig is 100% made in Brazil at a factory located in Guarulhos/ SP, meeting the requirements for local policies. It is set on a hydraulic activated semi-trailer, super single range III, with rapid movement. Its development and production follow safety, environmental protection, efficiency, reliability, and quality guidelines. Top drive/ Rig view/ Self-erecting drill floor. Greater availability of the rig, excellent local technical service and guaranteed parts availability increase the efficiency of the rig and the operations team. Elimination of work in heights (there is no derrickman and the systems are self-elevating), hands-off operations, anti-collision systems, and a reduced operations team provide the highest level of safety.